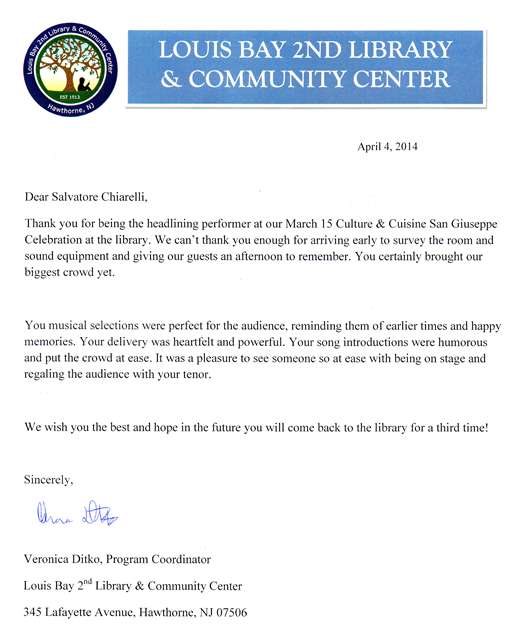 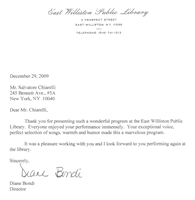 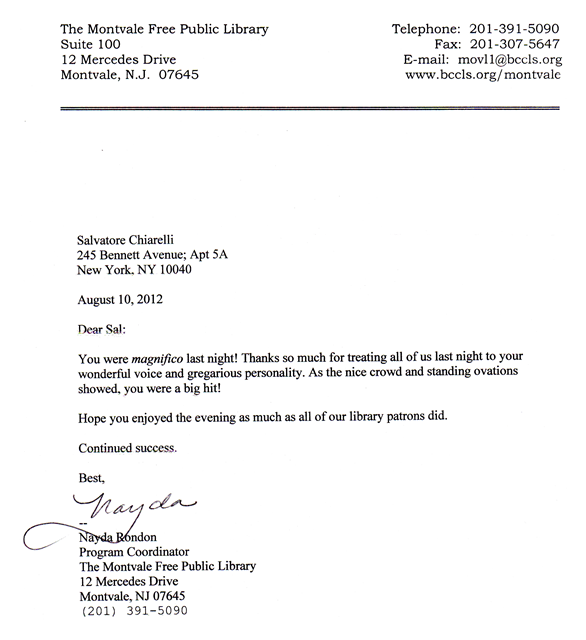 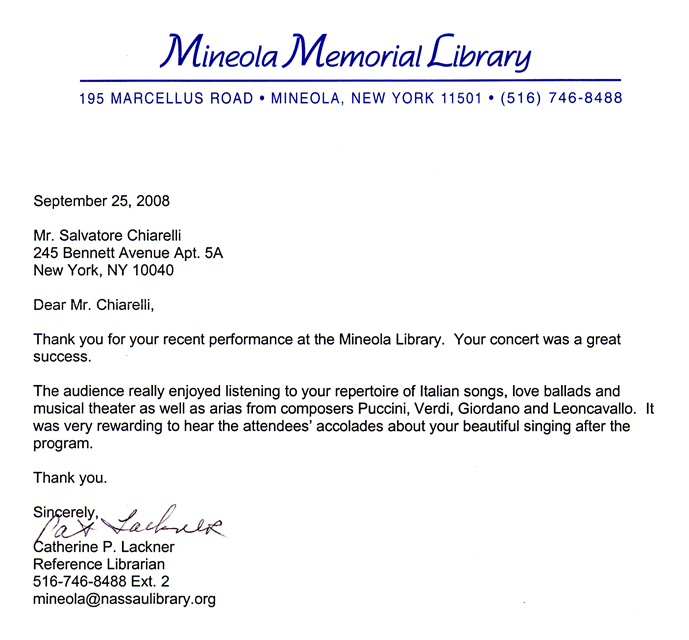 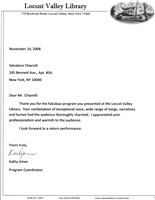 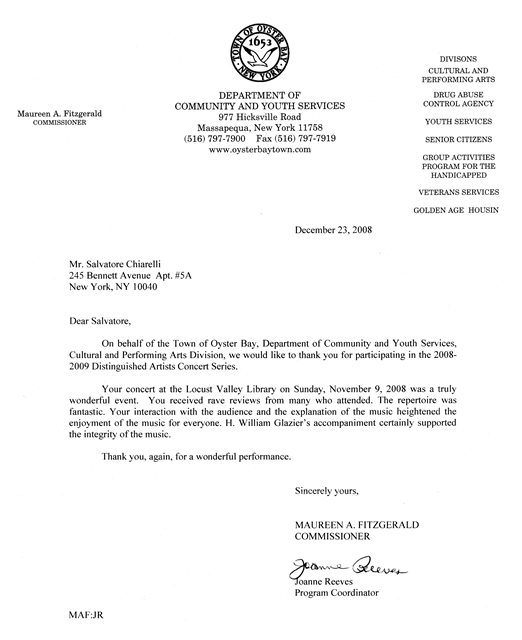 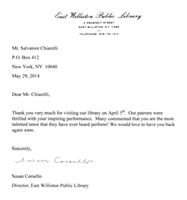 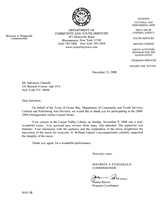 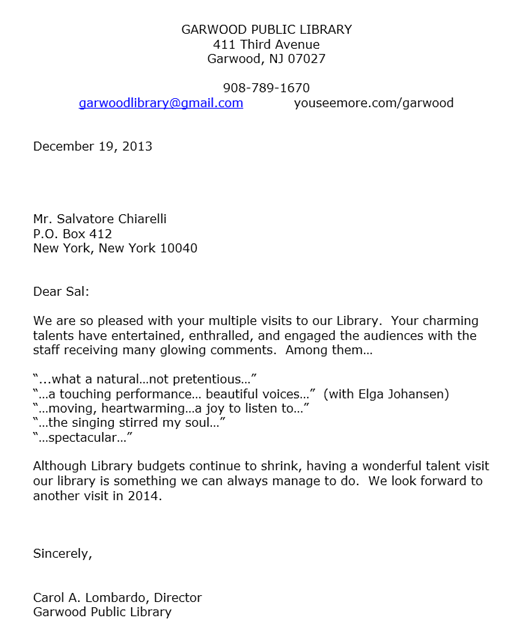 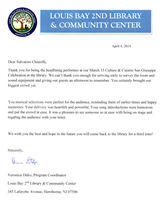 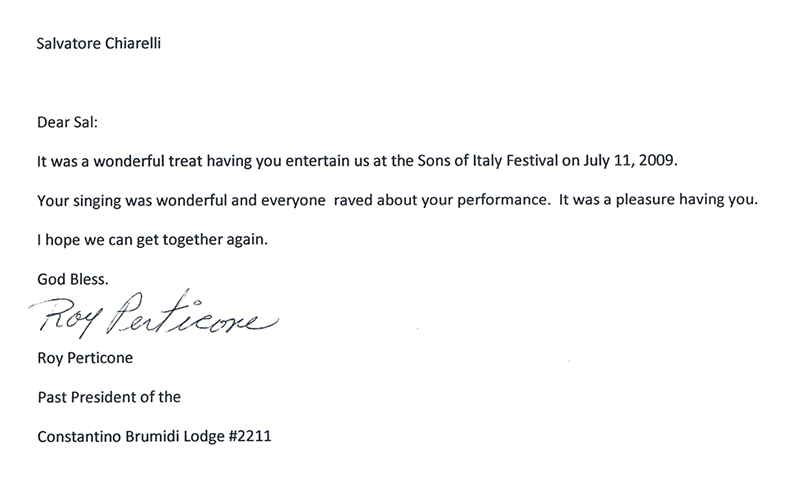 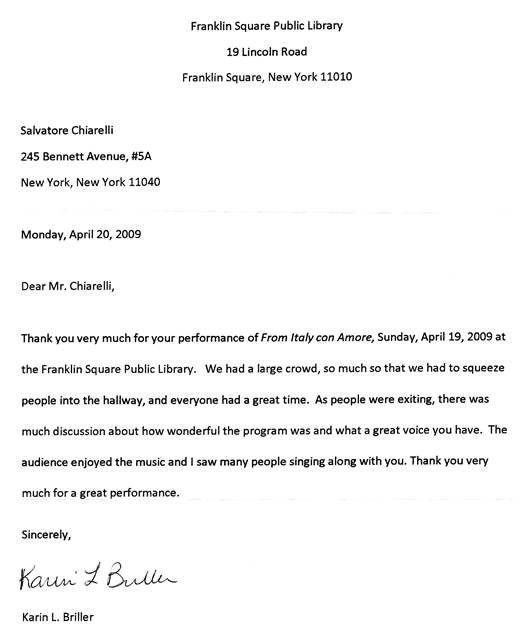 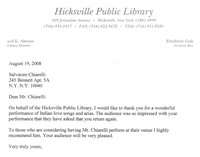 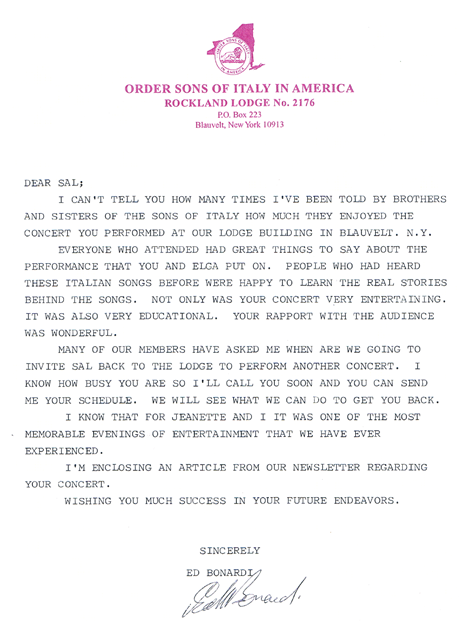 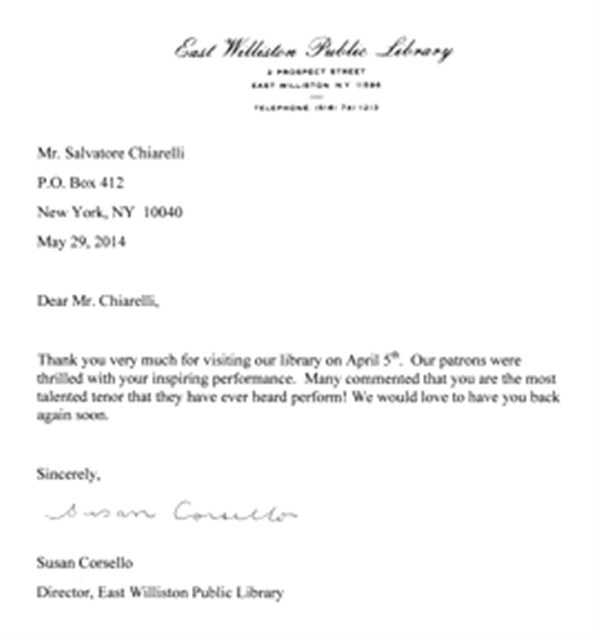 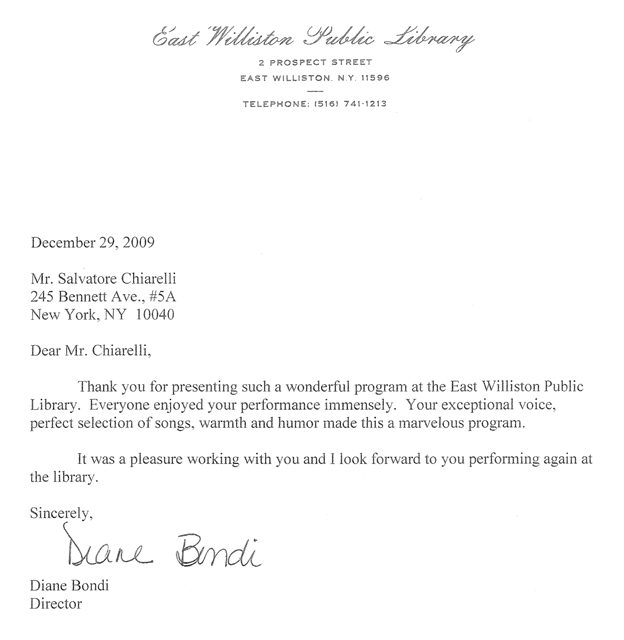 "It is my privilege and honor to write this letter of recommendation for Salvatore Chiarelli after having experienced his awesome talents here at Kinnelon Public Library. 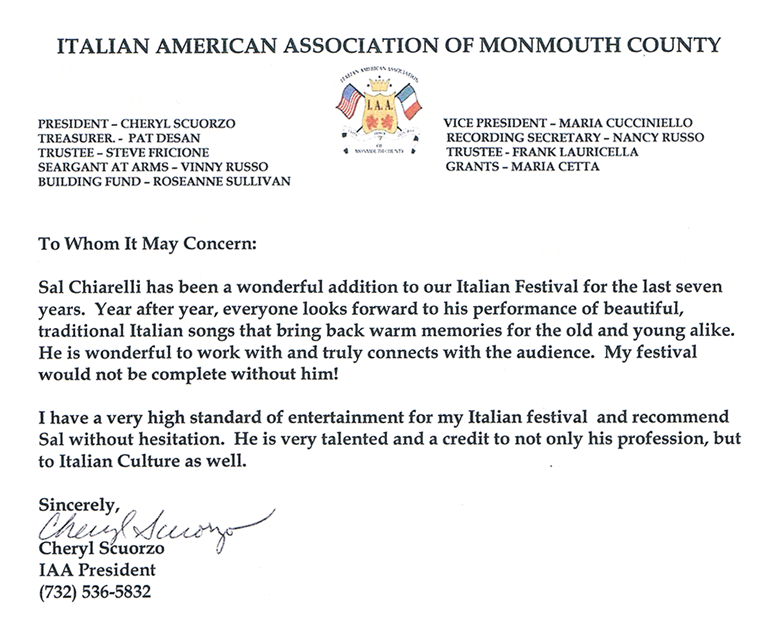 He succeeded in evoking the spirit of Italy for everyone in the audience with his repertoire and rendition of Italian & Neapolitan light opera. 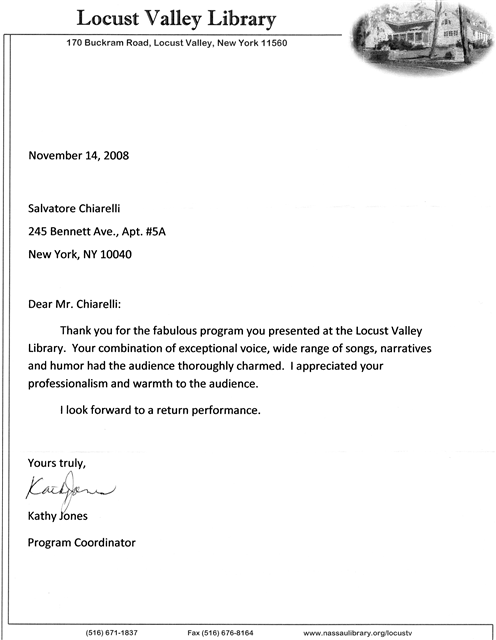 From the moment he stepped out, all present experienced his brilliant voice and easy going humor. 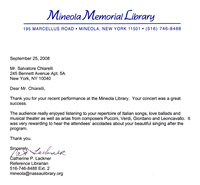 He is one of the rare artists who can take an audience on a journey of feel good emotions and leave them wanting to come back for more. 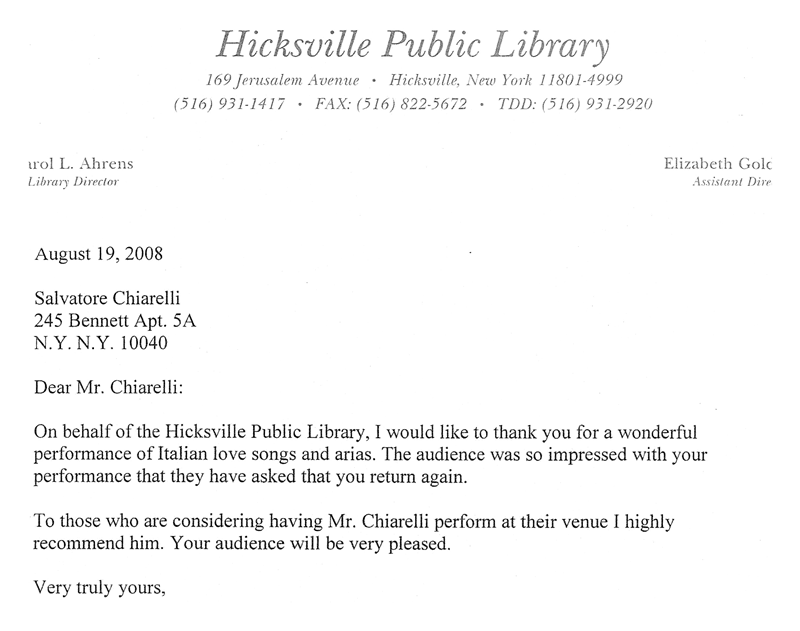 I would highly recommend him to anyone wanting to bring a fresh approach to an evening of wonderful entertainment. 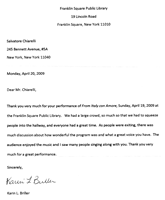 His easy going sense of humor gets the audience laughing and their hearts open to receive his music. 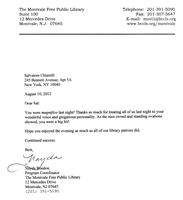 I can also assure you he is a wonderful person to work with - he is very supportive and cooperative." 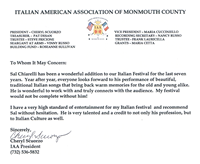 Copyright © 2017 SalvatoreChiarelli.com All Rights Reserved.